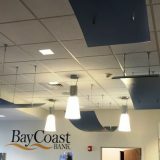 OBJECTIVE: Build a new construction BayCoast Bank Branch prototype of their new design approach and new methodology for customer service in banking. 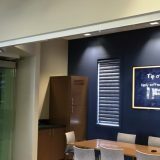 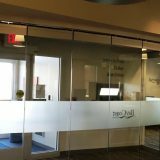 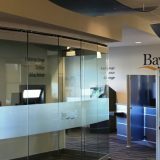 The bank features glass partitions throughout all of the offices and conference room. 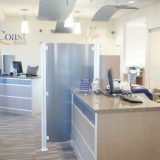 It also features a 24 hour ITM (Interactive Teller Machine) which is segmented from the bank showroom by a radius glass retractable partition. 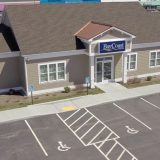 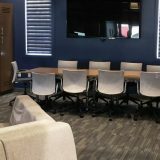 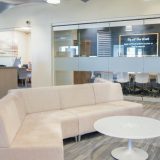 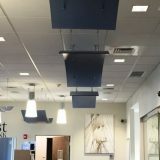 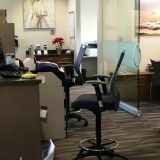 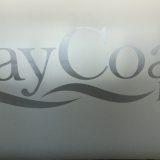 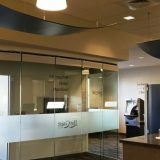 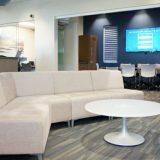 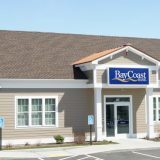 The branch offers everything that clients normally expect from BayCoast Bank, but with added technology and a modern, relaxed banking atmosphere.